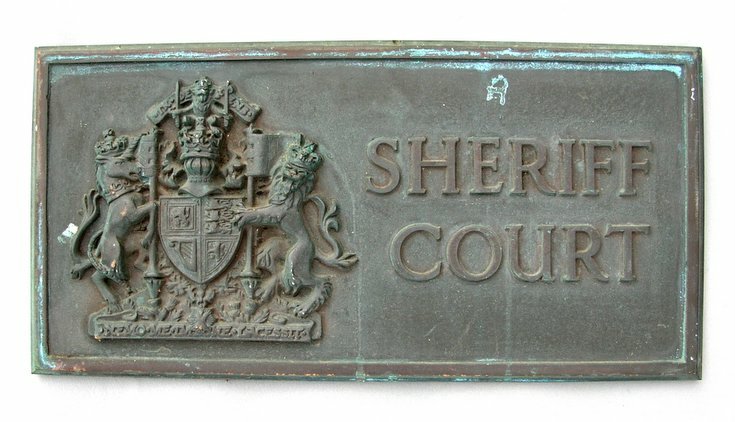 Cast bronze plaque with embossed Royal Coat of Arms and wording 'Sheriff Court' surrounded by twin line border. The object is aged with green verdigris and was original displayed on the wall of Dornoch Sheriff Court until 2008. On the rear there are four sockets for screw mounting and felt pen encircled marking B.